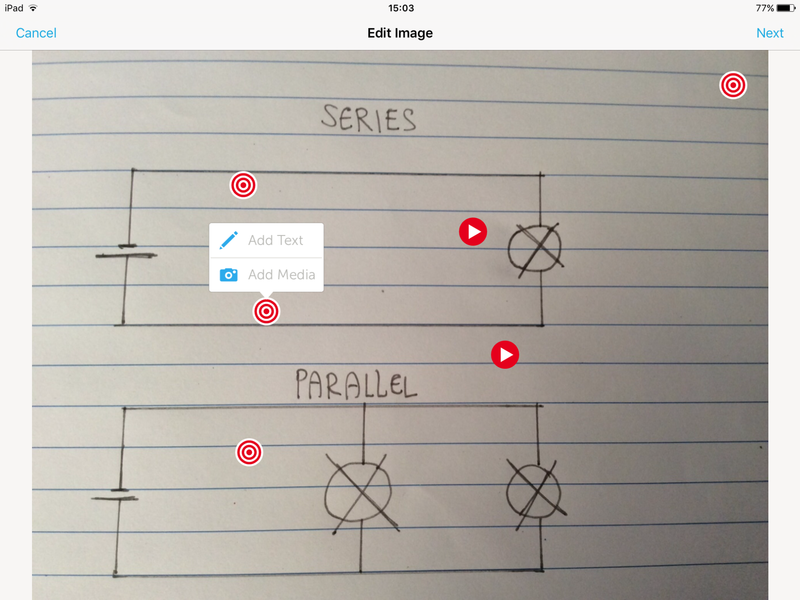 ThingLink is a superb App. In a nutshell, you take a picture of something and add text and media to it. It is currently only available on the App Store. 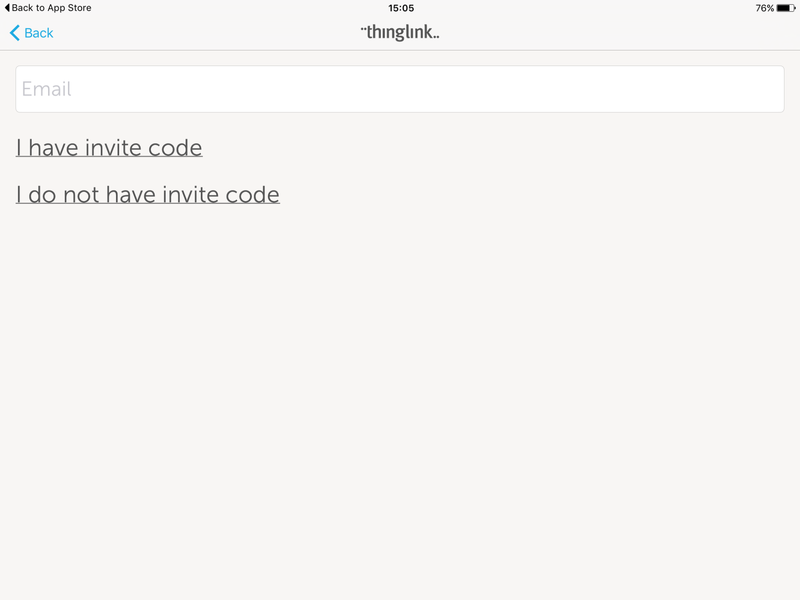 How do I use ThingLink? Open the App and sign up with your email. Say you don’t have an invite code. 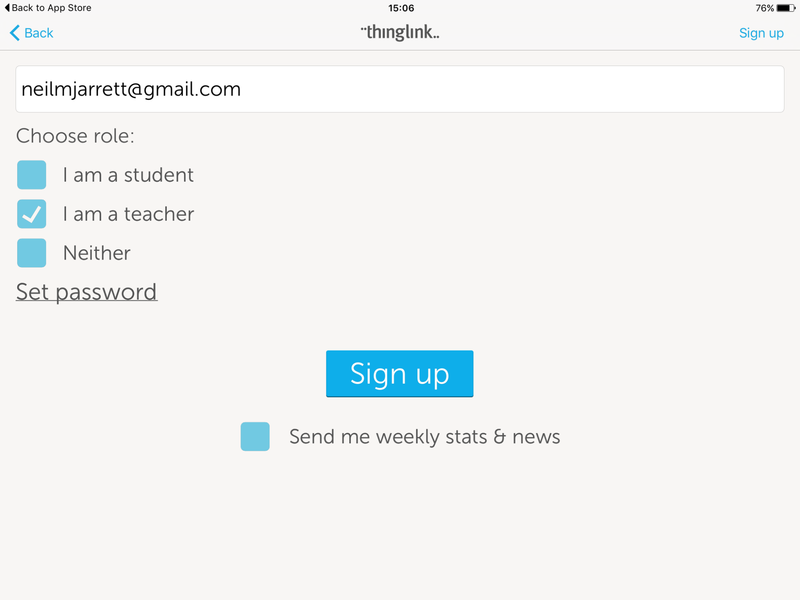 Next tick the teacher box and sign up (you can set a password if you wish). And you’re set to go! Look at some example ThingLinks’ as shown below. Then when you are ready to create your own, click the + in the top right corner. 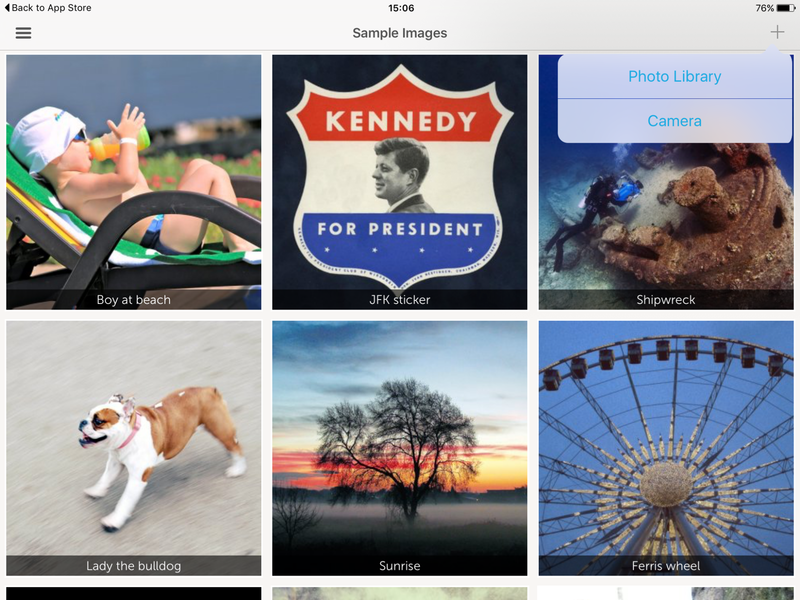 First take a photo or choose an image from your gallery (you can use images from the internet if you want). 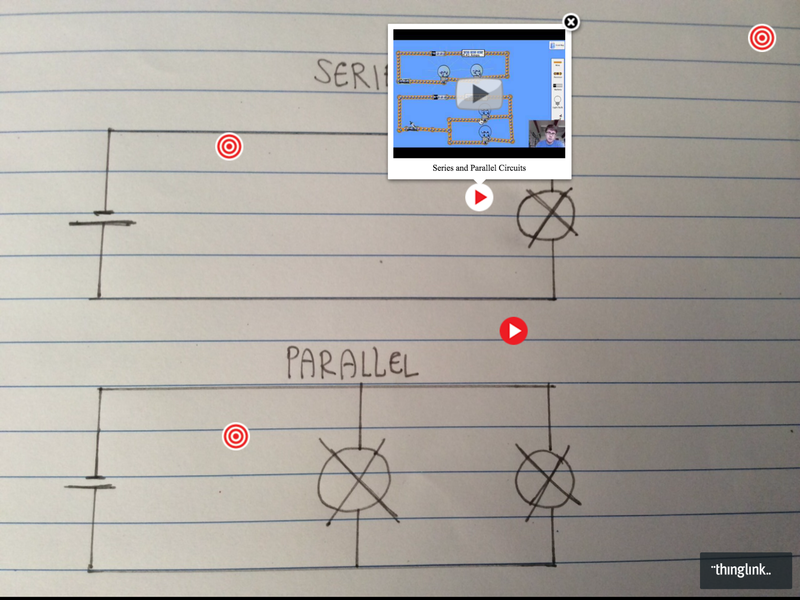 In a Science lesson, I asked my students to draw series and parallel circuits and then take a photo of them. After, simply press on the picture and either add text or media. 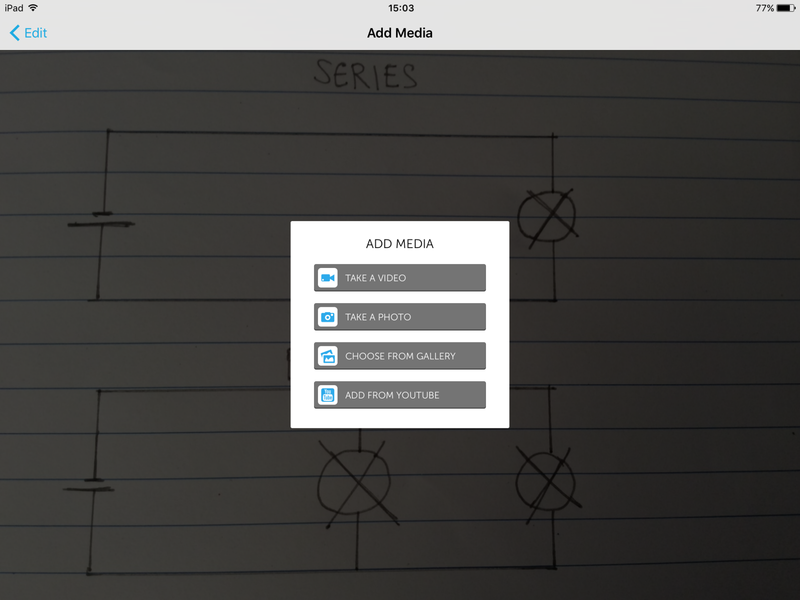 Adding media is great; choose videos, photos, or YouTube clips. I asked my students to record a ‘selfie’ video explanation and add it. They also had to include a YouTube clip. The videos look like they are coming out of the page – superb interactivity. Save when you are finished and then preview; you can touch the targets and they come to life! It’s great to share your ThingLinks with the class. How else could ThingLink be used in the classroom? Let me know! Previous EdTech Tutorial: How to use the App ‘Boomerang’ in lessons. Next EdTech Tutorial: How to use the App ‘PicCollage’ to create amazing posters.